At Josephs hair salon , we have established a reputation as one of the best Hair Extension salons in Twickenham and the surrounding areas. With years of industry experience, Josephs offers the finest quality human hair extensions and the most modern fitting techniques on the market. 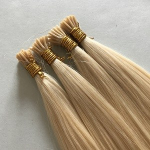 All of our hair extensions are 100% human hair. 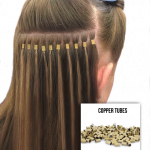 We offer micro-ring hair extensions. Salon Director, Joseph, can also create bespoke hair colour blends tailored to your unique hair colour – producing flawless, natural looking results. At Joseph’s, it is our mission to provide a premium service that is guaranteed to deliver only the BEST results. You can see some of our most recent hair extensions work below. At Joseph’s we specialise in Hair extensions, offering only the highest quality 100% human hair. The hair sourced is double drawn, meaning it is thick from root to tip. It is cuticle correct which allows you to enjoy smooth gorgeous hair for longer. Our hair is available in many unique colour blends. Each client can have as much or as little hair added to their own hair – our micro-ring hair extensions come in 50 strand packs and are up to 22 inches in length. This will depend on the following, how long is your own hair and how much longer you would like it to be? How thick your own hair is? Are you using extensions to add a bit of colour? A free consultation is available to colour match and recommend how much hair is required. At this stage we can advise you of all the guidelines for maintenance. 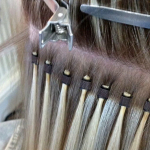 Micro-Ring Hair Extensions maintenance is required around every 6 to 8 weeks. (additional charges apply if the extensions have been poorly looked after or the maintenance appointment is not within 8 weeks).